The third revolution, add silicone frame + mask. Embedded Magnet, reduce stitching gap. Soft, thin, strong magnets column, patent flexible led module. Can be any designed forrolled, bend and swing according to customers` needs. 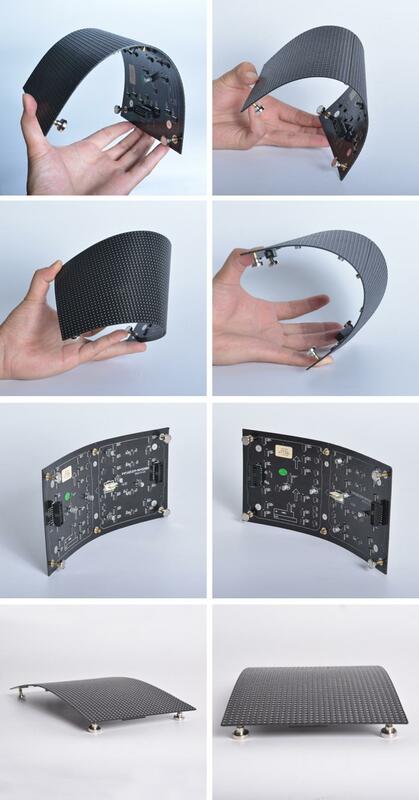 Flexible LED Screen is one of the thinnest &lightest LED screens in the world with special materials and advanced technology. Every led module is weight of 850g. Modularization design and no other connected cables make the installation so easy. User just mounts iron sheet or magnetic product on the surface in the first, then stick the Flexible LED sign on the surface. No cabinet metal frame, drastically deducting the screen weight. We can design any shape of structure as you need. Can be used in so many fields and occasions, especially in all kinds of irregular buildings. For example hotel advertising, stage renting, television, shopping malls, outdoor stadiums, concerts, fairground, etc. issue significantly clean, exquisite and high color reproduction effect for video and text. 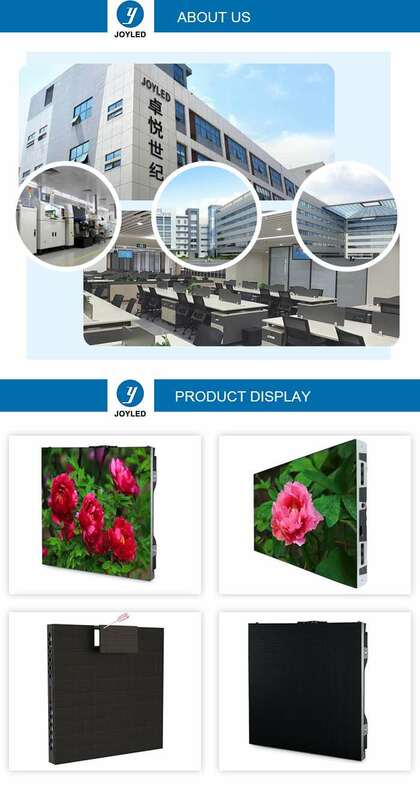 Shenzhen Joy LED Display Co., Ltd. is a LED electronic display and LED lighting application products. It is invested by three senior LED industry professionals in China. It integrates R&D, production, sales, engineering, and after-sales services. High-tech companies, adhering to the unique advantages in the field of LED display and control, the company has fullyintroduced the ISO9000 series quality management system, the production process in strict accordance with the requirements of RoHS and CE directives pay attention to every job details in the manufacturing process management Lean management, strive for perfection, is a medium-sized enterprise producing high-tech electronic display products. 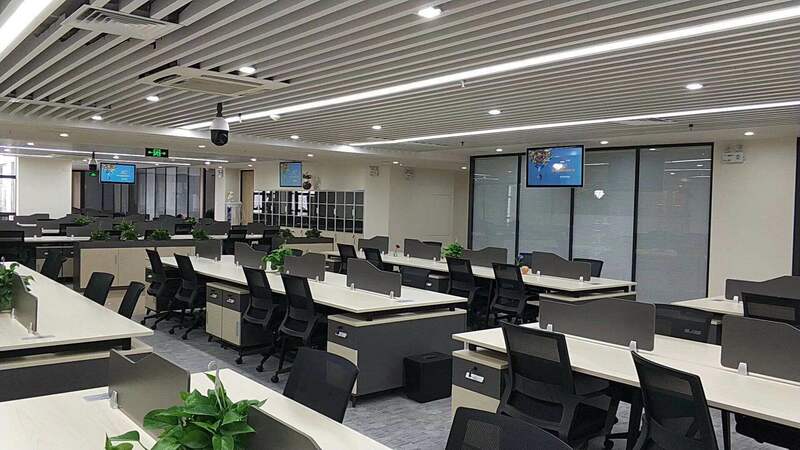 Shenzhen Joy LED Display Co., Ltd.
Shenzhen Joy LED Display Co., Ltd. is a LED electronic display and LED lighting application products. It is invested by three senior LED industry professionals in China. It integrates R&D, production, sales, engineering, and after-sales services. High-tech companies, adhering to the unique advantages in the field of LED display and control, the company has fully introduced the ISO9000 series quality management system, the production process in strict accordance with the requirements of RoHS and CE directives, pay attention to every job details in the manufacturing process management, Lean management, strive for perfection, is a medium-sized enterprise producing high-tech electronic display products. At present, the business scope has covered more than 30 countries and regions in the world, and has branches or offices in some areas, involving entertainment, sports, financial securities, communications, transportation, industrial control, media advertising, labor market, hospitals, There are hundreds of users in the fields of schools, industry and commerce, taxation, and technical supervision. The company's products have been welcomed by a large number of Chinese and foreign customers. At the same time, the company's brand has also received praise and recognition from all walks of life. Joy LED display adhering to the "I am the user's" service spirit, established a perfect product quality system and after-sales service network, has a large-scale support for the production of the screen LED LED tube, LED suite, PCB board and several other international advanced level The professional supporting factory is a vertically integrated professional enterprise in the industry. The company now has a group of industry experts, senior engineers and technicians with nearly 30 years of experience in R&D and production, and a large number of employees with high overall quality and professionalism. They have experienced several times of international and domestic national-level mega-projects. 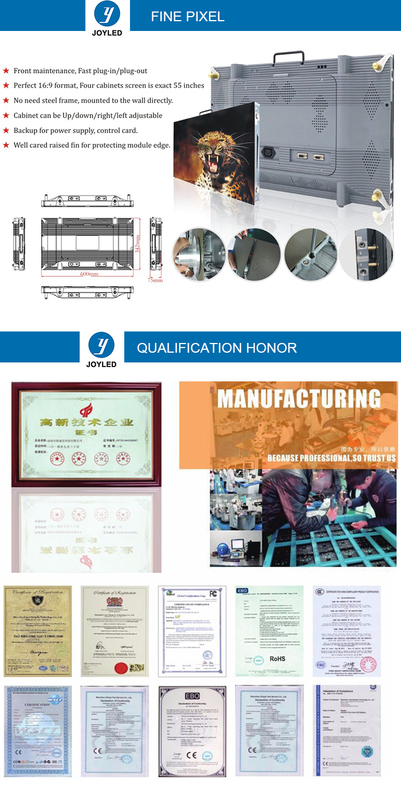 , participated in the construction of many major domestic projects, the company has a 4000m2 anti-static clean production workshop, imported automatic SMD placement machine, automatic AI automatic plug-in production line, automatic lead-free wave soldering machine, 10 temperature zone automatic return Welders, automatic plastic sealant production lines and other sets of international advanced production equipment. In the research and development and manufacturing process, the product focuses on strengthening the high-tech connotation, strict quality control, strict process management, and rigorous marketing operations. This all guarantees the quality of our products. We will continue to develop cost-effective products that are more economical and easier to operate. 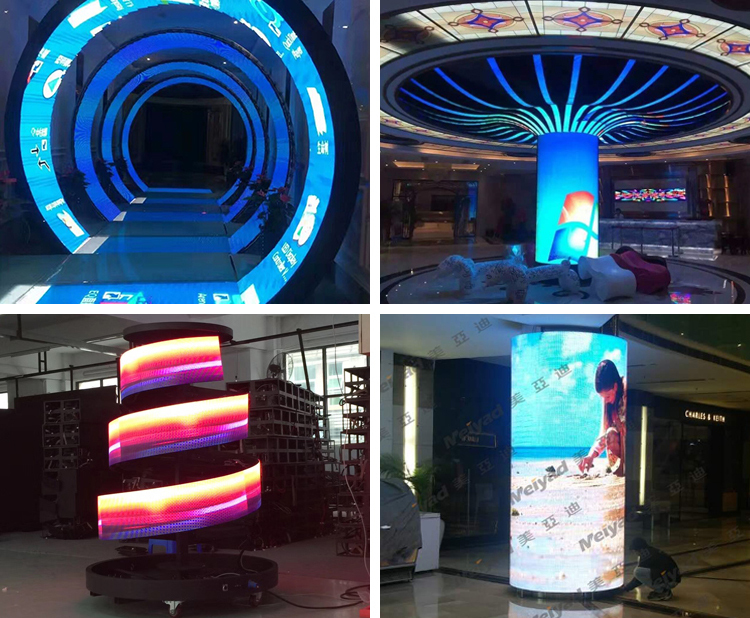 Company Name: Shenzhen Joy LED Display Co., Ltd.